November | 2007 | NICE! 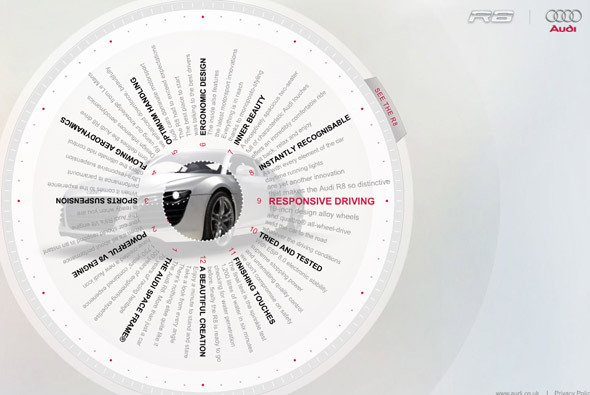 Site promoting the new Audi R8 for the UK market, from the perspective of 12 ‘chapters’ explaining the intricacies of the car. There are some really nice transitions and touches that liven it up a lot, nothing ground breaking just a nice example of a car microsite and an interesting use of navigation. 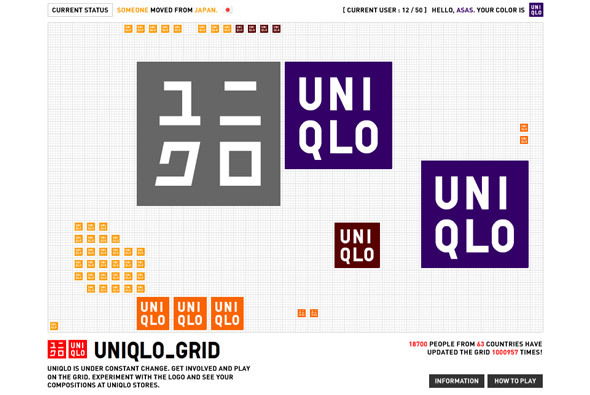 Another cool UNIQLO website, this time in the guise of a grid ‘game’. I say game lightly as its more like a kind of interactive experiment with up the 50 people from all over the world interacting with cubes in a virtual space. You can create cubes, rotate them, divide them, move them and so on, everyone can edit your cubes and vice versa. It provides an interesting irreverant website, with cool sounds and great interactivity. Created by the legend that is Yugo Nakamura of YUGOP. 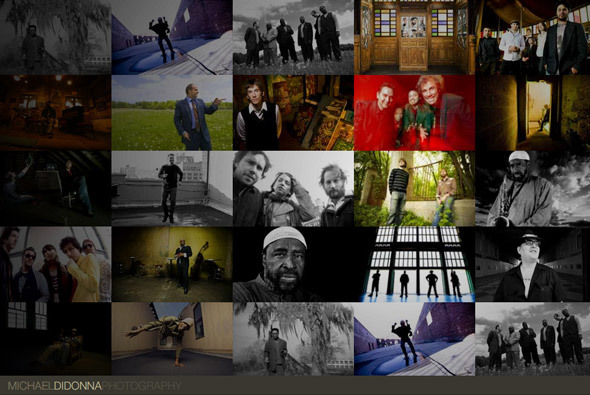 Simple but effective photography website from Michael Didonna, beautiful photographs and minimal website showcasing them. I like the partial zoom transitions on rollovers and thoughtful layout. Developed by Boom Design Group. Beautiful website, promoting a new shopping centre in Japan. Set to a piano soundtrack sentances are formed in different patterns – giving an ethereal atmosphere, more akin to an art display. 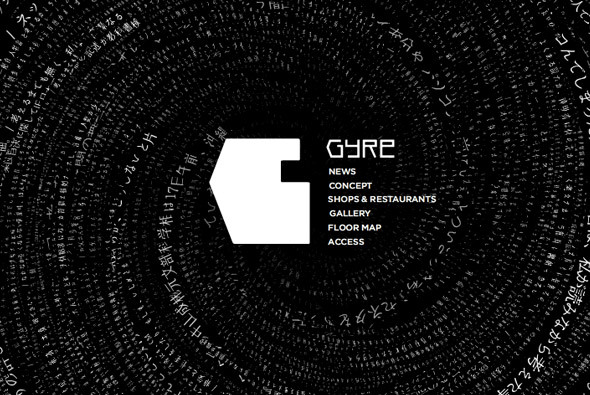 ‘Gyre’ means swirl, and as such the information displayed is always being updated and swirled around. This can be seen from inside the Gyre building, on your phone and on the website. A wonderful simple idea – in terms of art direction and style – it just works really well and is a nice way to promote a concept. 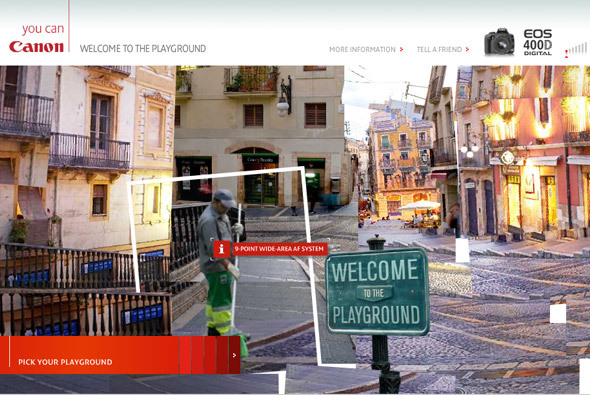 Created by one of my favourites tha ltd.
Amazing site – powered by Papervision 3D – again!! Promoting the new Canon EOS 400D camera. Really lovely style of interaction – you pan around and explore 3 different scenes each with interlocking pictures which move around in a 3D environment. This has got to be my favourite example of Papervision so far, the execution is really accomplished. 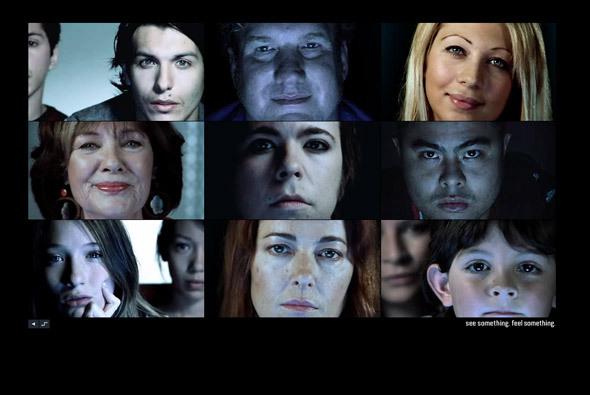 Very simple idea and execution demonstrating a nice concept to promote Foxtel, an Australian tv service. Short videos of people watching a selection of different tv channels set alongside a nice soundtrack. I really like its simplicity & concept – overall a nice little site.